Life presents itself for most of us if we’re open to it. 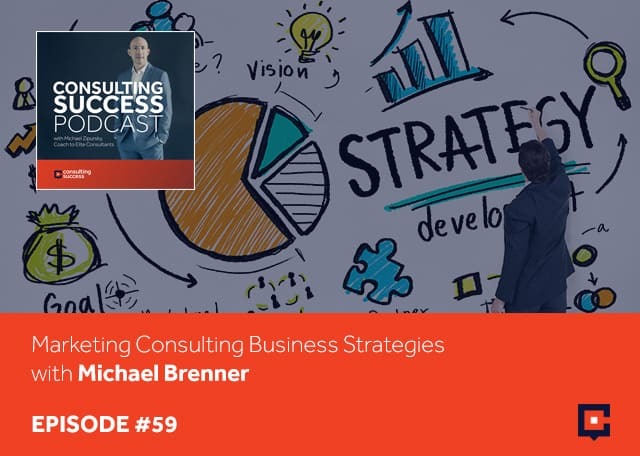 For Michael Brenner, going out on his own and become a consultant literally had people and mentors pushing him in that direction. Michael is the CEO of his own company called Marketing Insider Group where they do marketing consulting, leadership coaching, and keynote speaking for conferences and brands all over the world. Michael says shifting from executive positions to becoming a consultant was something he always wanted to do even early on in his career. His main objective is to help those that might be able to be helped by the things that he’s learned and the things that he’s done. Michael talks about the secret of happiness model and business strategies to help you fully function in your area of expertise. I’m excited to have Michael Brenner joining us. Michael, welcome. For those who aren’t familiar with you and your work, take a moment and share with us what you do. I’m the CEO of my own company Marketing Insider Group. We do marketing consulting, leadership coaching, and keynote speaking for conferences and brands all over the world. When I looked at your past and where you came from, you have quite the track record in the corporate world and executive positions with companies like Nielsen and SAP. Do you find shifting to becoming a consultant easy? Did you think to yourself, “How can I become a consultant?”Did it happen through a natural transition? It was something I always wanted to do. Even early in my career I thought it’d be pretty cool to be out on your own. Life didn’t take me there as quickly as I probably thought. My first time was with my first company for nine years, believe it or not. I was there in sales and marketing and made it all the way up to a relatively senior executive role. The company kept giving me good reasons to stay. The first company was Nielsen and it was a great environment. I learned a lot, experienced a couple of different functional roles and had some great mentors. After that, I sought a new experience, so I joined two startups after that as Chief Marketing Officer. We jumped back into the large corporate world with SAP, then back to a startup and now on my own. It’s been a rollercoaster of in and out of companies, startups and now out of my own. It’s exciting and terrifying, too. It’s like a rollercoaster. If you didn’t feel that fear, it wouldn’t be fun. I love it. I feel truly blessed to be able to do it. In some ways, the universe was speaking to me. Not to be too touchy-feely or spiritual about it, but life presents itself for most of us. I literally had people telling me, “Why are you working for this company? We’d love to pay you indirectly for the same service. You’d get paid more. We’d pay less for it and not support the building that your current company is paying for.” I had a couple of folks, mentors who pushed me in that direction. Ultimately, clients pulled me in that direction. I loved my boss. He’s a pretty good guy most days. That was always an incentive and it has been a blast. Your boss being yourself. How did you get your first consulting client then? The first six months of being out on my own, I had that cushion there while I built out the infrastructure and the things that you need to do in order to start building pipeline, getting leads, and all those kinds of things. I was fortunate in that way. A lot of the entrepreneurs I talked to have a similar story. They had what we call runway in the industry, some sugar daddy, sugar mama client to get us through those early growing pains. Having one customer or client is not a great place to be. I wanted to quickly move away from that. I’m happy and fortunate to count SAP still as a customer, but also another twenty to 30 companies that I support. 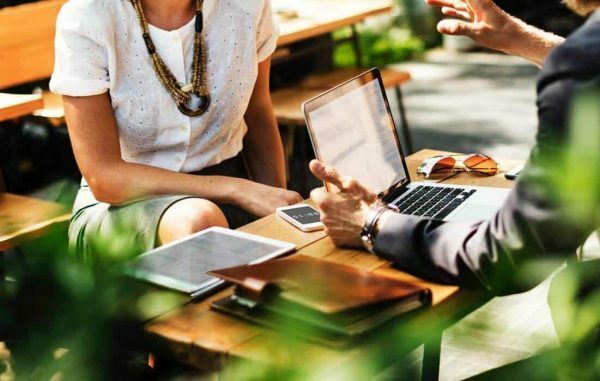 When you transitioned out of SAP, you became a consultant and then SAP was your first client as a consultant, was that when you just left SAP or did you work somewhere else after SAP before becoming a consultant? It was not right after I left. I left SAP to join a startup. I was the Head of Content Marketing at SAP. I joined a marketing technology company where they asked me to build out a strategy services package or product for them to essentially apply what I did at SAP to their clients or customers. It was another runway in a sense and in two years, I was given that opportunity to define the service offering and codify or formalize the framework that I had used. I was able to retain that intellectual property when I left. It was almost two years between the time that I left SAP and then them calling me back and saying, “We’ve got this division and this division. Each are looking to do what you did back when you were here two years ago.” I’ve spent the last two years implementing that framework for 40 different consulting projects in those two years. I honed out the details and then by the time I got back to SAP, I was able to apply that. How did you stay top of mind during that period when you left there as an employee, went out with this other startup, then started doing your own thing? How did you stay top of mind so that SAP knew what you were doing? Did they reach out to you or did you reach out to them when you were looking to get that first real solid consulting client? It wasn’t intentional. It was quite organic. SAP is a big company. I was one of 4,000 marketers inside the company of 60,000 when I left. Now, it’s 80,000 people. My wife still works there. She’s in HR. I made a lot of friends in the seven and a half years I was there. I made a lot of good connections and kept in touch with a lot of those folks. As they followed my career, I do a lot of public speaking, so they’d see me on the conference circuit. I do quite a bit of writing. I was always top of mind without it being a specific intention. When I was talking personally with folks who were still at the company that I was going to go off on my own, it turned out that they had a couple of projects and some budget ready to go. What did you find was the greatest challenge for you growing your consulting business? What was it in the early days and let’s come to what is a challenge for you right now? A lot of people say like, “How did you get through the setting up an LLC, building a website, getting a lawyer, having insurance, and all of the basic stuff for setting up a business?” I speak to those folks out there that may be haven’t taken the leap yet. You figure those things out with a couple of Google searches and some free online tools. It was days if not weeks for me to figure that stuff out. Those were the details that I would offer advice to anybody out there thinking about taking this step. Never let those things become the obstacle. I thought they were much bigger challenges than they ended up being. That would be my first point about the ‘was’ when I set up the business. The act of setting up the business was not the big challenge I thought it was going to be. What was the challenge in the early days? I was lucky, and I shared experience with a lot of entrepreneurs that had that first client in the bag. The challenge from that point and still to this day is I’m busy. I’ve been busy every day. The main challenge is I’m not sure I’m going to be busy in four months. It’s a rolling three months of work all the time. I will admit to losing some sleep every night thinking about, “What am I going to be doing in October?” I’d look back and I remember that last time, I was having the same concerns. It’s building out predictability to the funnel or the pipeline as we call it in marketing or being able to forecast revenue out for beyond, let’s say the next quarter, three to four months. That’s the challenge. Some of the ways that I’m trying to solve that, number one, I’m changing some of the service offerings that I started with. Instead of thinking about what I do as a one-time activity, trying to maintain some level of ongoing revenue with some of the clients that I have, I’m also looking at building out actual products. Things that you could go online and buy without trading time for money. Those are the things that that I’ve struggled with. As a consultant, that’s the challenge most of us face. We are trading time for money and we only have much time. The ones that get to go from low, mid six figures to high six or low seven figures are the ones that have figured out how to stop trading time for money. One thing you mentioned there is so important and, in my book, The Elite Consulting Mind, I wrote a chapter on it called Worry Well, which is this idea that all entrepreneurs worry. If we’re not worrying to a degree, then we become complacent. It’s a healthy thing. Ray Dalio said, “If you worry, you don’t need to be worried. If you don’t worry, you probably should worry.” It’s this idea that oftentimes we think to ourselves, “Something’s wrong with me because I’m worrying so much,” or, “Why am I always concerned?” If we trace back what you mentioned, look at the patterns, we can see that often the things we’re worried about, we’re always worried about them and they always work out okay. We try and worry less, but at the same time, it’s also a part of growing. As we’re growing and challenging ourselves with new things, we’re going to continue to find reasons to worry or to think about what we could be doing better. That certainly, to me, resonates and with many other consultants would resonate as well. You speak, you write, and you’ve been blogging since 2010. Are those still your best methods for lead generation in terms of speaking and writing? Have you found something else that is working even better for you to get more clients? They’re definitely my top source of leads. I don’t look at them as activities that I do to support the business. My very first blog post was why am I starting a blog? The reason I defined in that article, knowing that no one was reading it because it was my first one, was essentially I’m looking to share the things that I’ve learned. As Jack Lemmon said, “Sending the elevator down to those that are coming up,” and trying to improve the profession. It’s the function of marketing and now, even more broadly, leadership overall and entrepreneurial mindsets. That was the original reason I started doing that then. Moving onto the stage and breaking through the fear that I had of public speaking was an extension of that desire to help people. Becoming a consultant, my main objective is to help those that might be able to be helped by the things that I’ve learned and the things that I’ve done. That mission has guided all of those activities, then led to speaking and writing as a source of leads for me. The other one is referrals. It’s always a challenge to try to figure out, “Should you be doing more? Has somebody else figured out the secret?” It’s an authentic, natural expression of my mission and that leads to business for me. You talked about this idea where you worry to a degree of what’s going to happen four months down the road. That’s happened in the past and things always work out. Based on what you’ve seen in your business over time, are there changes that you are actively looking to make to improve the pipeline and the stability so that you can reduce that level of worry and get even more leads or even more referrals? Is there anything you’ve identified that you’re looking to improve? Moving away from one-time services to ongoing was the first step. Moving from time for money to sellable online products is part of my next step. The other thing, too, that I’m trying to work on and have been working on, and I know a lot of folks doing what we do have mastered this, is finding strategic long-term relationships that aren’t putting all eggs in one basket but provide some base level of income. I always say, “If I could make that number that helps me pay the mortgage, I would sleep a little better at night.” Knowing that whatever comes on top of that is, “I still need to live,” at least I know that my house is paid for. That was probably the third leg of the stool for me and I have been investing in that. Can you tell me a little bit more what you mean there specifically? What would that look like? For example, there’s a marketing technology company, and many people know it, called Marketo. It’s no secret that I work with them because I speak at their events, so it’s all public facing. It was the point where I’m an “influencer“ in the marketing space. They’re trying to reach marketers as a technology company. We had a strategic conversation about, “How can I do what I do in a way that also helps you to connect with the people you need to reach?” We formed a relationship. It’s not as strategic as I’d like. They never really are. Companies as big as they are still having quarterly budget cycles and things like that. There are always those challenges to work through. I’m grateful for the relationship I have with them. I look back and the reason I was able to sleep better was largely due to a relationship like that one where we just sat down and said, “What’s a series of things that we could do together over time?” That’s a relationship that’s helped me. I’m looking at other relationships like that. For some folks that might be advising, being put on retainer for a company as an advisor or getting into some regular content or consulting relationship with organizations, coaching relationships, mentoring, all of those kinds of things can help folks that are in our position. How has the structure of your company changed over the years? Have you built up a team, full-time people and contractors? Give us a sense of what your company looks like right now. I never wanted the stress of having employees. I went out on my own and I wanted to support other people who’d gone out on their own. I had a philosophy from the beginning that I’m not looking to take over the world. I’m not looking to build a company with employees, with overhead. I don’t want somebody else’s mortgage and financial commitments adding to my stress. It’s purely been structured as an outsourced, freelancer model. I’ve got great relationships with folks that are employees at this point, on the accounting side, the legal side, marketing, and all of those core components. Some of the execution stuff that I do has all been freelance or outsource supported. A lot of consultants have the challenge when they’re looking to scale their business. It’s the question of, “Do I hire people now and take on more potential risk where I don’t have enough work for them?” or, “Wait until I get more work, but then what if I get too much work and I don’t have the resource and the people to help me to deliver on it.” What has been your thinking and strategy to handle that? When I first started, I had an opportunity to take on some investment from a guy that I’m friends within the industry who successfully started his own agency and gone off and become a consultant. He was willing to invest in the time I was going to need to build a business. In lieu of that, I’d have to give up a significant portion of the company, my own revenues going forward. That’s the decision that people have to make. Anybody can go get financing if your idea is unique enough and if there’s a relatively great story behind the need and you’ve done a good job of defining the opportunity in the marketplace. Pretty much anybody can go get funding. The moment you do that, you’re giving up control. It’s not like you get a blank check with no accountability. It’s more than having to make the service payment on the debt. You’ve got essentially a board at that point that you have to serve. I made a conscious decision not to take another people’s money. There are three ways you can do this. One, you’re independently wealthy and you can do whatever you want to you. Two, you bootstrap it, like I did, which means you have to make those kinds of decisions, like, “We’re going to go with an outsource model until something changes.” The third is you take money from somebody else. I didn’t want to do that. I worked for a startup that took too much VC money and a lot of startups have sold their soul to the VC world in a way. Not to criticize that world. There are a lot of successful models and approaches there, but there is such a thing as taking too much money. In terms of you building your business and going out there prospecting, giving talks, writing, getting referrals, a challenge that many consultants have is should they bring on resources, extra people? Should they build their bench of talents now and either employ or contract those people before they start winning those projects, so that they can then deliver on them and have the capacity? Do they wait until they land those larger projects, but then deal with a potential situation that they don’t have the right people to help them to deliver on that? I’m interested in terms of how have you handled that or how have you thought about that situation in balancing your capacity and not taking on too much risk by employing people or contracting them early without enough work to support them. I definitely did not make the decision to invest up front in getting those resources with pretty specific intention. In order to do that, you need to spend money that you don’t yet have as any part of a revenue model. To spend money before money’s coming in means you got to go get it or take it from somewhere. I didn’t have it to spend. I didn’t want to borrow it. I didn’t want to bring someone financing into the business. The only option if you make that decision is to do the work, sell the work, and then build out your resources behind it. You figure it out. Your question was never something that I was worried about to be totally honest. As a paid speaker at conferences, I’m getting paid to do my own marketing. Because of the years of blogging and writing that I’ve done, I’ve got a large built-in audience that I was able to tap into. I had that years in investment that’s something I was able to tap into. That was not something that was ever a choice for me. You bring a lot of experience, skills, track record, and everything from the corporate world to your consulting business. 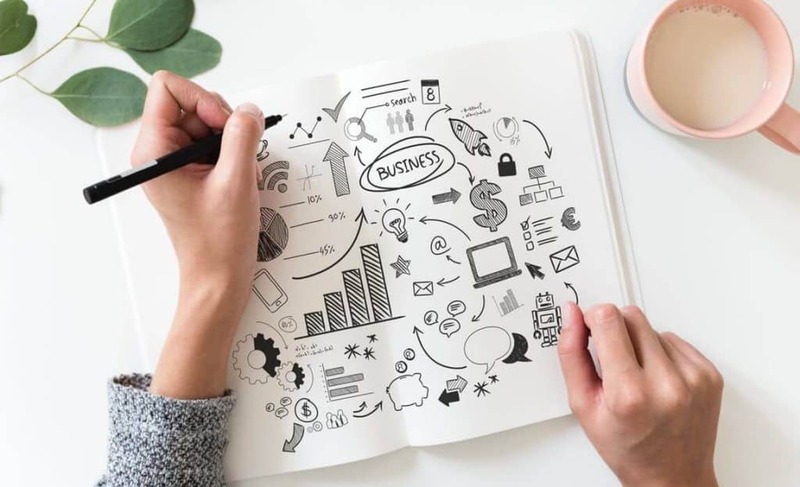 Many people wonder when they have a lot of different experiences and a lot of different ways that they can help perspective clients and offer consulting services, how did you approach deciding what specific consulting services to offer and what to focus on? I realized there’s this whole world of paid speakers and started figuring that world out. I talked to a lot of my existing clients who outsourced certain services to folks that have less experience than I do for more money than I would offer. I started saying, “I could give you a better offering that you’re getting from some other company for a lower price.” I had some ideas going in. Speaking, writing, and consulting are the three things that I do. The mix has changed every single quarter and my focus on how I promote those different services changes a little bit. That’s pretty much it. I’m just following the market. I certainly understand the market is what’s most important. A lot of people have ideas of what they want to sell or offer. If the market doesn’t want to buy it, then it doesn’t matter. How do you manage all of that? If each quarter you’re coming up with new offerings, new ideas or new services to provide, does it ever feel overwhelming? Do you have a system or an approach that helps you to stay on top of it? There’s something I call the secret of happiness. I’ve stolen this from somewhere. I don’t think it’s an original idea. I wish I could remember the source of it, but I’ll take credit for it in the meantime. Everything in life can be explained in a Venn diagram. Imagine in your head three circles and inside of those circles are three things. In one circle are the things that we know and it’s the stuff we’ve done. It’s the experience we have. In another circle are the things that we love to do. In the third circle is the things that people want to pay us for. We’ve all probably seen variations of this, but the things that we’re going to be most successful at are where those three things come together. The things that we like to do, the things that we know how to do, and the things that people want to pay us for. That’s the model. I follow that. I have a client now who’s pushing me into stuff that I do not love to do. I’ve already decided, it was subconscious until now, I was thinking to myself, “I’m going to make sure that this contract is not renewed.” It’s nothing against them personally. It’s pulling me in a direction of things that I know how to do and they’re willing to pay me for it, but I do not love it. 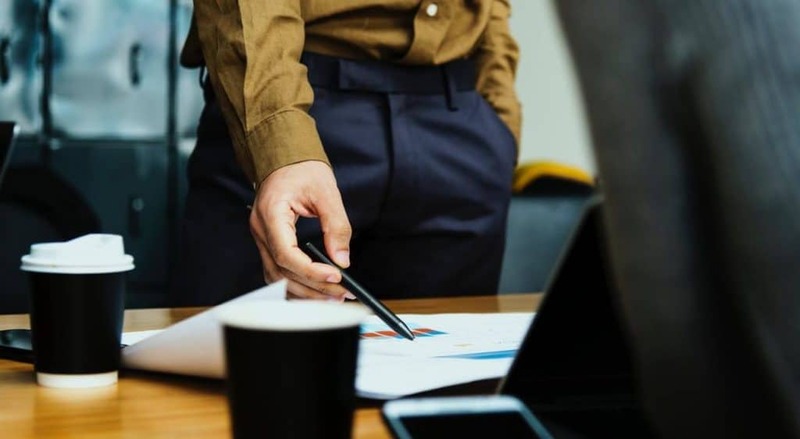 What happened is I found myself jumping too quickly to a deliverable and I had to pull myself back a little bit and say, “This isn’t at the level of quality that I normally would deliver on. Let’s hold that and get it to where it needs to be.” I reflected on that a little bit and I realized it’s because I hate what I’m doing. I don’t love this thing, this aspect and the execution for this one client. You have to know yourself and listen to yourself, what you like to do, what you know, and listen to the outside world and what they’re either willing to pay you for. You’ve clearly accomplished a lot, Michael. I’ve heard from many people who do a lot of speaking that that requires a lot of energy. Writing certainly requires focus and dedication. What does your daily routine look like as a consultant, speaker, and writer? Since I’m on the road so much, I find that there’s an ebb and flow in energy for sure. There’s no typical day. At any given day, I could be on a client site, I can be on a stage, I could be on a plane or I’m sitting at my desk and speaking to you. There is no typical day. It’s varied with travel and speaking versus consulting versus traveling versus in office home work. What I try to do is manage my energy. Traveling is exhausting. Speaking is exhausting. I’m an introvert and I’ve heard a lot of the best speakers are introverted, believe it or not. It means I don’t draw energy from large crowds. I need to find a way to get that quiet time back in. Sometimes I binge watch Netflix. Sometimes I read a book. I take a walk, I try to exercise, eat right, all those kinds of good things. Managing energy is something a lot of people think, “Entrepreneurs are all born with this unlimited, unbridled energy.” I get seven and a half, eight hours of sleep every night if I can and I need it. I need to manage my energy almost like an athlete might. That’s the way that I think about it as I need to make sure I build up those reserves for the times when I’m going to have to spend it. Michael, I want to thank you for coming on here and sharing your journey and story with us. Appreciate it. What’s the best way for people to learn more about your work and to connect with you? You can check out my website, MarketingInsiderGroup.com. Connect with me on LinkedIn. I share a couple of times a week on LinkedIn. Twitter is probably where I do most of my sharing, @BrennerMichael. Invite your audience to connect, share, and start a conversation with me on any of those platforms.